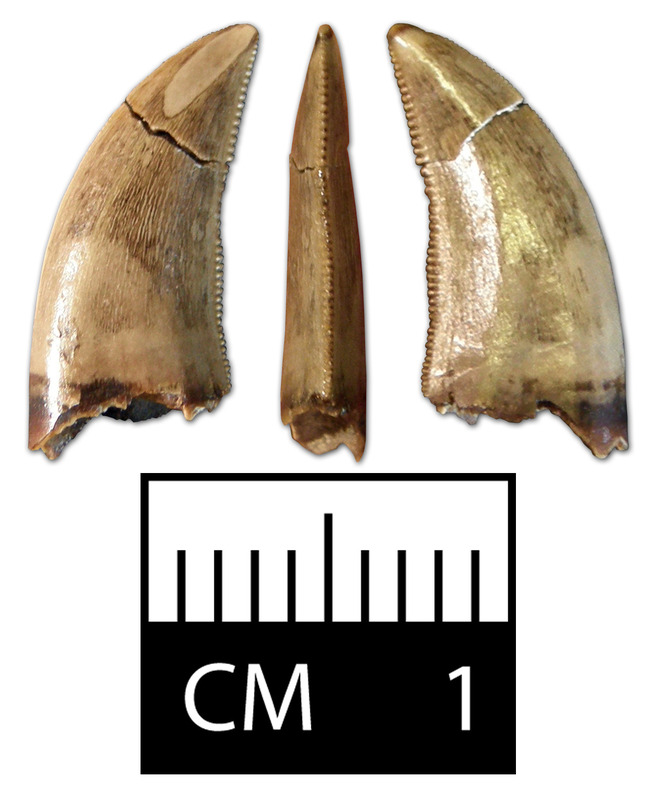 Tooth of a velociraptorine raptor. Specifically the serrations of the tooth are typical of Saurornitholestes. Really cool tooth thanks for sharing it back then I've only just seen this portion of the forum. Would love to see what other similar teeth you have in your collection. This is the only Dromaeosaurid tooth I have in my collection at the moment. All notable dinosaur teeth I have are shown here on the site.